For 15 years, Matt led Health Market Science, Inc., based in King of Prussia, Pennsylvania. As Chief Executive Officer, Matt built a leading healthcare data company by entering the pharmacy, provider, and insurance markets, while building a robust suite of software solutions. The continuous expansion of the company’s products and target market segments allowed Health Market Science to achieve aggressive revenue milestones and a successful exit to LexisNexis in late 2014. 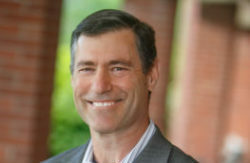 Prior to Health Market Science, Matt held technology and commercial leadership positions at General Electric, AstraZeneca, DuPont Pharmaceuticals, and Mediconsult. He has a long history serving in board director roles and helping start-up businesses with strategic planning, product positioning, and fundraising. In his role as Venture Partner, Matt will support portfolio companies with product development, sales management, operations, and organizational growth, as a board director or advisor. He is a critical resource to the Rittenhouse team for the evaluation of new investment opportunities. Matt is a native Pennsylvanian, bringing strong regional experience and relationships as he drives value at Rittenhouse Ventures and its companies; he graduated with a bachelor’s degree in Science from the Pennsylvania State University and received an executive MBA from Temple University. About Rittenhouse Ventures – Rittenhouse Ventures is a Philadelphia-based, emerging-growth venture firm. Rittenhouse invests in capital-efficient, Mid-Atlantic software companies that provide business-to-business solutions in healthcare, life sciences, finance, human resources, and general business services.